The presence of liquid water is a requirement for life as we know it. 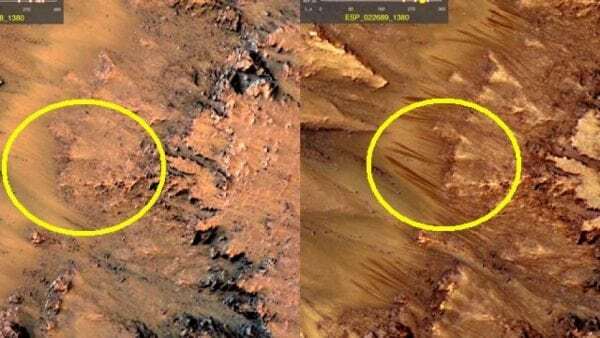 Therefore, a main part of understanding Mars’ current habitability means understanding where, when and in which state liquid water could temporarily persist. 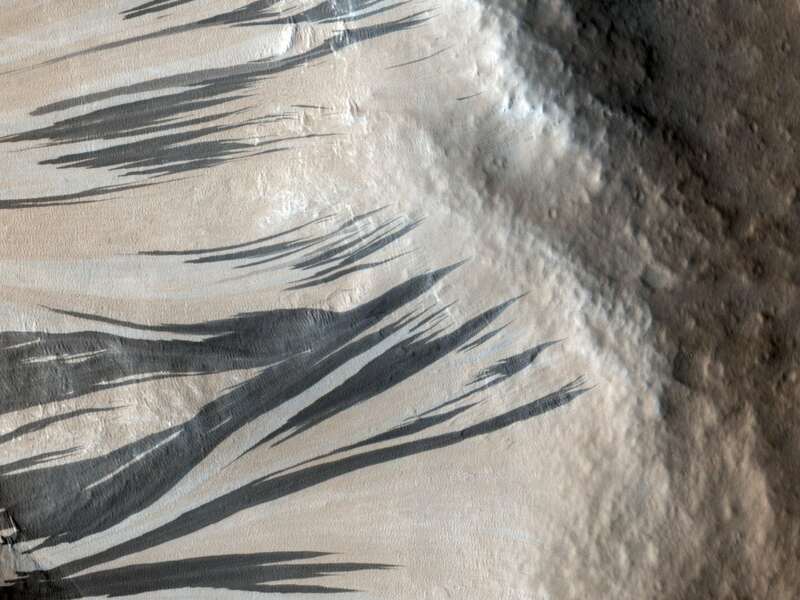 While pure liquid water is not stable on the Martian surface because it would immediately evaporate, other forms of water such as highly saline solutions (brine) might be able to persist. In the last decades of robotic Mars exploration, water ice has been discovered from mid to high-latitude regions. It is furthermore known that salts that can form brines at very low temperatures by depressing the freezing point of water are distributed globally in the Martian soil and there is some evidence for the formation of brines on Mars such as droplets that formed on the Phoenix lander’s struts, or so-called recurring slope lineae, seasonally darkening flow-like features on sloped terrain that may be attributed to liquid brine flows. In this study, we experimentally investigate the formation and persistence of a typical brine throughout the Martian day at the conditions of the Phoenix landing site using an environmental chamber simulating the Martian atmospheric conditions in combination with Raman scattering spectroscopy and imaging. In a previous study we showed that brine formation from water ice in contact with salt is the most likely mechanism to produce liquid water in the form of brine at polar Martian conditions, whereas formation by absorption of water vapor from the atmosphere is too slow to occur because atmospheric water vapor is four orders of magnitude lower than on Earth, with the highest values in the Martian polar region. Here, we focus on the formation of brine by the contact of either surface or subsurface water ice with calcium perchlorate salt because this salt is likely ubiquitous on Mars and it exhibits a very low temperature of 199 K (-74 ºC) at which it can form a liquid water solution (its eutectic point). Our study focuses on the simplest process, the interaction of salts with water ice. This is the first step for fully understanding brine formation on Mars. In the future, we plan to study the formation of brine by the interaction of saline soils with water ice. Our results show that when water ice is in contact with calcium perchlorate salt, such as likely in the polar regions of Mars, (liquid) brine can form within a few minutes after the temperature rises above the eutectic point in the early morning hours. Then, as the temperature increases further and assuming a limited supply of water ice, evaporation increases the concentration of the solution, eventually causing salt to start precipitating out of the solution and finally the remaining brine freezing in the night when the temperature drops again. Our results suggest that while the temperature was above the eutectic value for about 17 hours during the early days of the Phoenix mission, brine could have formed and persisted as long as enough water ice was present to compensate for evaporation. Our analysis also indicates that during the Phoenix mission brine formed at about 04:40 am and froze at about 10:20 pm. Preliminary experiments with a soil-salt-ice mixture indicate that the presence of a soil causes a delay in brine formation. Besides at the Phoenix landing site, brine formation could occur anywhere between polar and mid-latitude regions, where frost and snow are seasonally deposited on saline soils or where water ice is seasonally present in the shallow subsurface and temperatures exceed the eutectic value during a significant fraction of the Martian day. Therefore, our results suggest that brine could form in these regions on seasonal time scales, persisting for as long as the temperature remains above the eutectic value during the Martian day because the melting of water ice could compensate for evaporation. Thus, these regions of Mars may temporarily have one of the essential ingredients to be a habitat for microorganisms that thrive in brine. 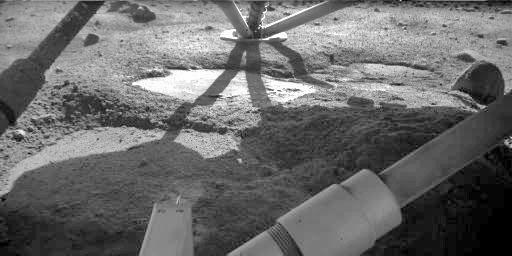 This study, Formation and Persistence of Brine on Mars: Experimental Simulations throughout the Diurnal Cycle at the Phoenix Landing Site, was recently published in the journal Astrobiology. Erik Fischer is a Graduate Student Research Assistant at the University of Michigan | U-M · Department of Climate and Space Sciences and Engineering.